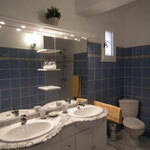 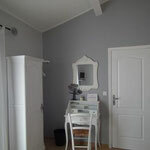 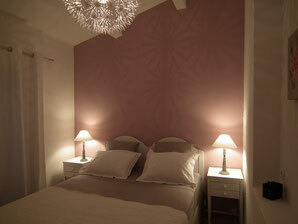 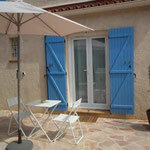 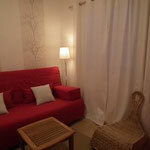 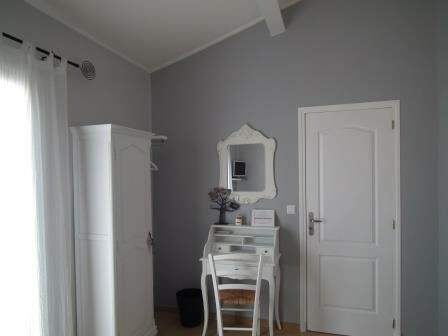 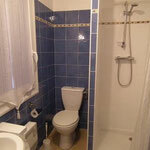 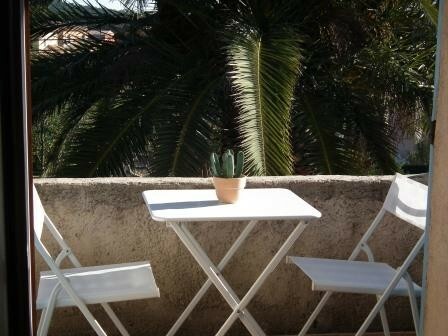 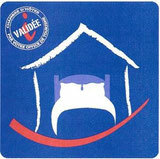 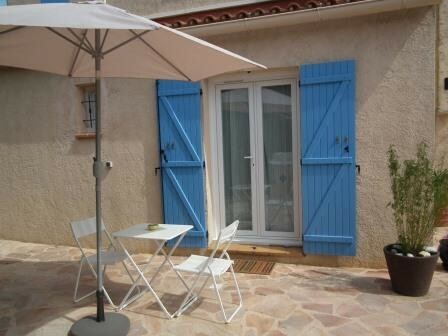 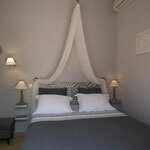 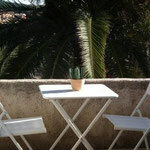 The double room "Lilas" is on the floor (acces by personal stairs) with a small terrace and a private lounge. 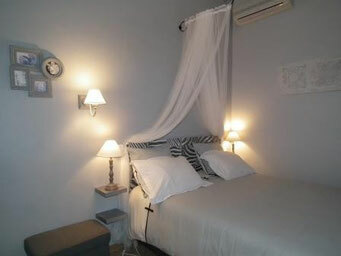 For your comfort, the room is equipped with a double bed 160x200 comfort for sensitive backs, air conditioned, WIFI internet access. 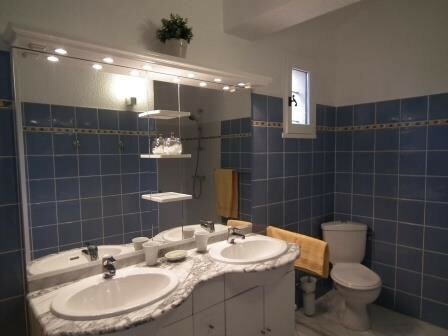 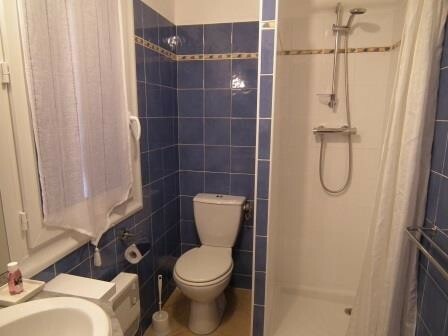 Private bathroom with shower and toilet. 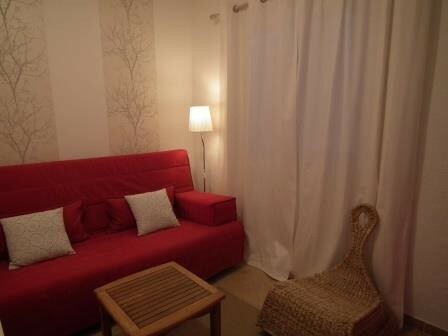 Possibility of an extra bed in the lounge (up to 16 years). 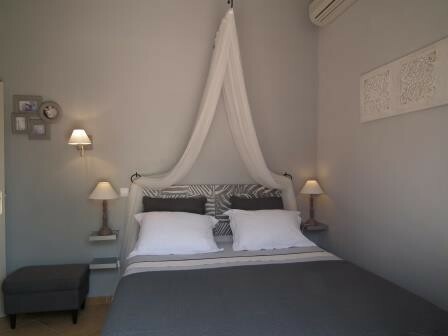 The double room "Santoline" has its own entrance on the ground floor, opening onto a terrace near the pool.